Need to clean your house or business, but just don’t have the time? 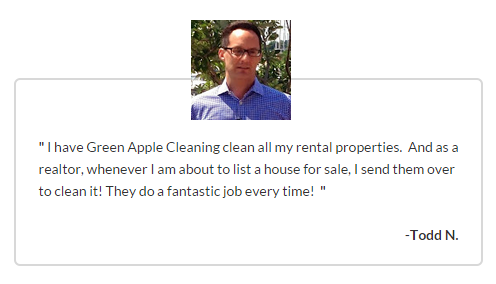 Call Green Apple for high quality cleaning services in Chevy Chase. Since 2001, we have cleaned hundreds of homes and offices in Chevy Chase and surrounding areas in Maryland. 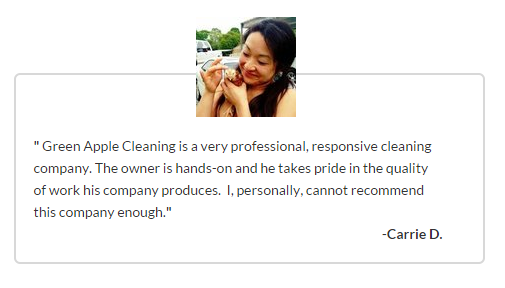 Our professional cleaning staff is ready to tackle any cleaning request. No job is too big or small. Let Green Apple Cleaning prove to you that we are one of the best residential and commercial cleaning services in Chevy Chase. Nowhere else will you find a better cleaning service at this value. Our detailed cleaning plans, which can be customized for you, are designed to leave no space untouched. Green Apple Cleaning is guaranteed to provide you with exactly what you need for your home of workplace. Don’t wait request an estimate now. Please fill out as much information as you can to receive the most accurate estimate.